Hello! 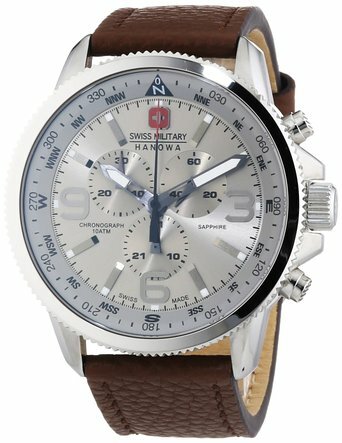 Today I’m showcasing the 9 Most Popular Best Selling Swiss Military Hanowa Watches Under £200 For Men. 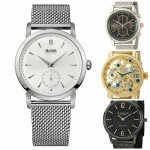 If you’re looking for other watches under £200 definitely check out my top 21 men’s watches under £200. Hope you enjoy today’s post. 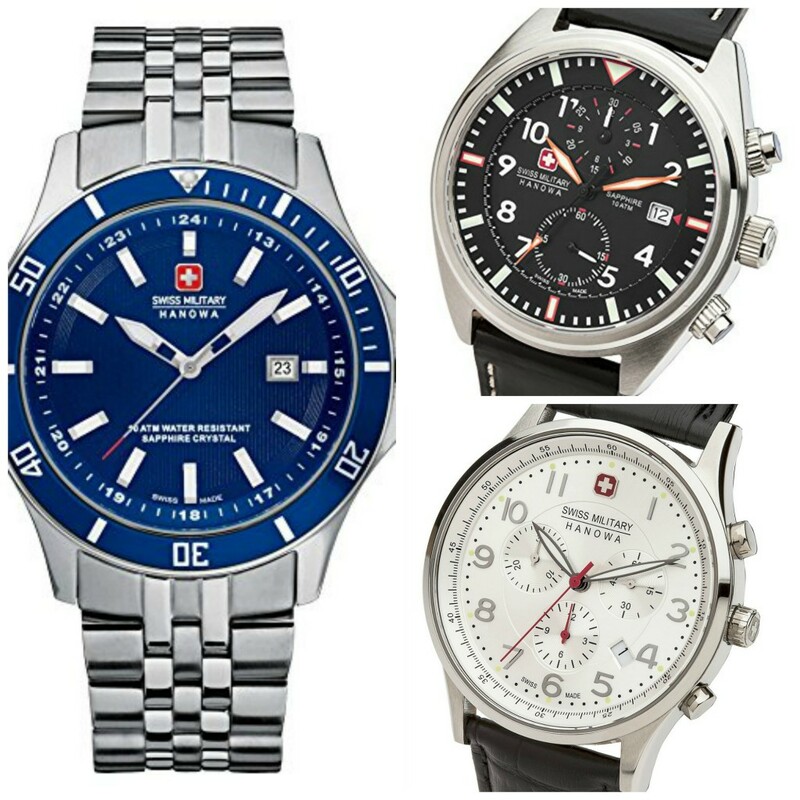 Let me know what you think of the watches below in the comments. 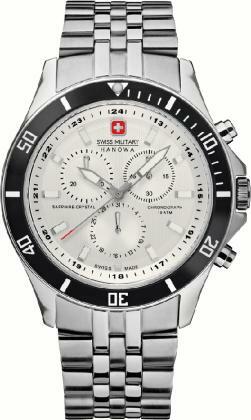 This 100% Swiss made timepiece by Hanowa and from their Patriot collection. The Patriot has a nice Swiss chronograph quartz movement with a high visibility dial. The watch is really well priced considering it’s a Swiss made watch. It also features a sapphire crystal glass and a 100m water resistance rating. 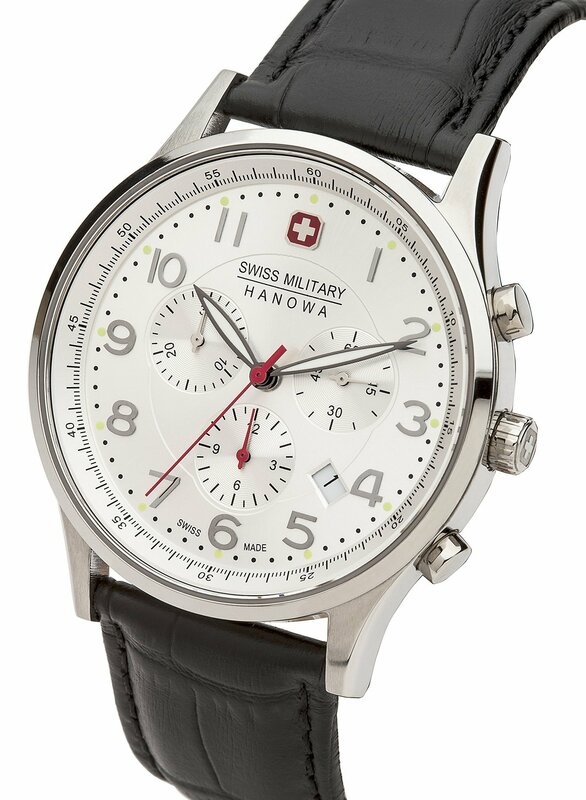 This next Swiss Military Hanowa timepiece has a nice rounded casing with a simple and effective easy to read dial. The watch has a date display at the 3 o’clock position and features a Swiss made quartz watch. Extra features of this timepiece include a sapphire crystal glass and 50m water resistance rating. 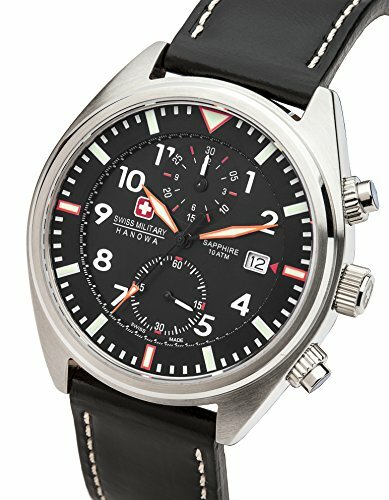 This is popular pilot style Swiss Military watch. It features a quality firm comfortable genuine leather strap with this nice white stitching along the sides. The hands are very visible despite the busy dial, the lume makes them extra easy to see in dim lit conditions. The watch has a Swiss quartz chronograph movement and a sapphire crystal glass. Along with a 100m water resistance rating, I’m very pleased with this timepiece. This model has a hypoallergenic stainless steel casing and bracelet. The strap has this nice finish with the blend of brushed and polished stainless steel. It’s a very subtle watch with a lovely coloured dial and bezel in my opinion. I like that it’s Swiss made and of course comes with the Swiss quartz movement that you’d expect. Along with a sapphire crystal glass and 100m water resistance rating, this watch offers some great value for money. 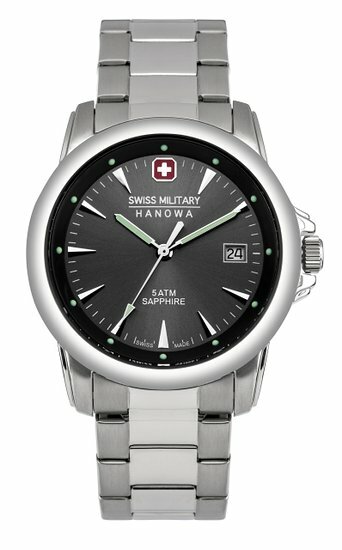 This is another beautiful watch from Swiss Military Hanowa that offers some great value for money. It’s Swiss made and features this great chronograph Swiss quartz movement. It’s a great reliable timepiece that has a sapphire glass and 100m water resistance rating. This model has a brilliant designed easy to read dial. The chronograph sub dials are set out very nicely and spaced neatly. There is also lume dots at each of the hour markers to make it easier to read in dim lit conditions. 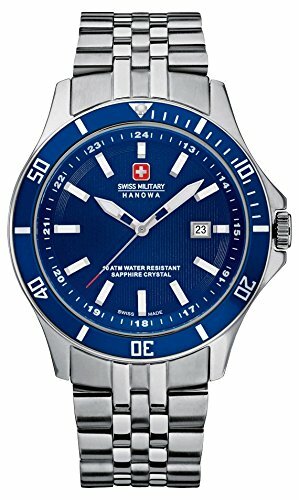 Extra features of this Swiss Military Hanowa watch are the Swiss quartz movement, sapphire crystal glass, and 100m water resistance rating. 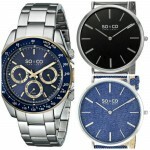 This is a great watch for smart or casual wear in my opinion, you get the best of both worlds. 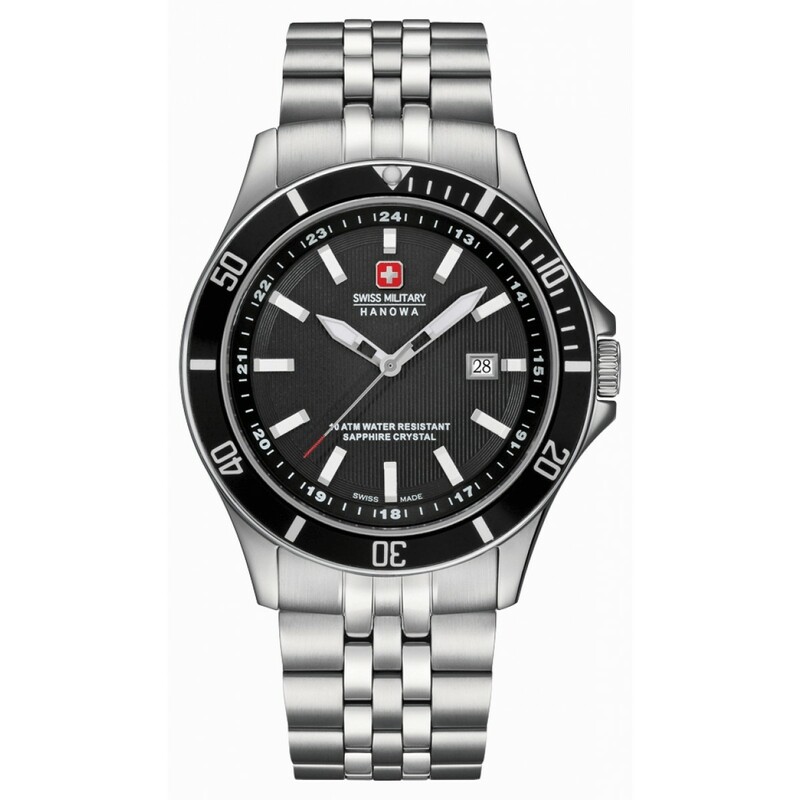 It’s a swiss made watch with a large 42mm casing diameter which is very popular at the moment. Extra features of this model include the luminous hands, Swiss quartz movement, 100m water resistance rating, and a sapphire crystal glass for excellent scratch protection. 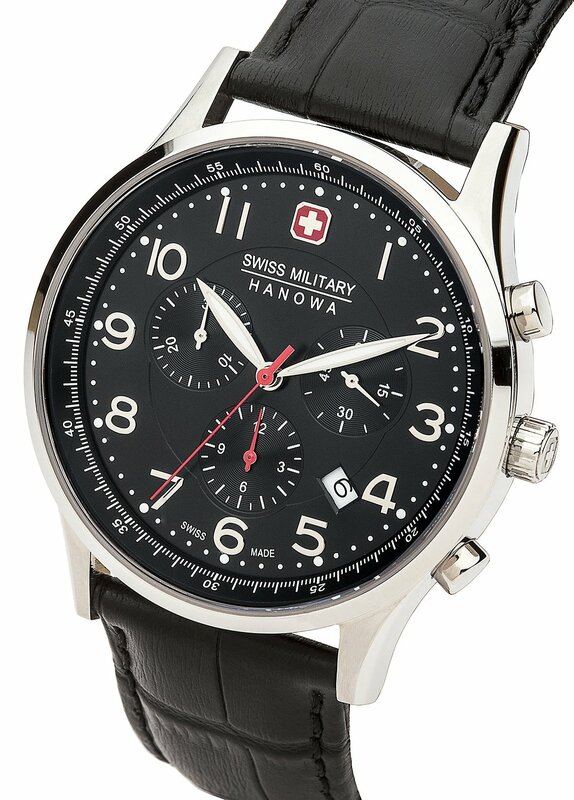 The final watch to be featured on this list today from Swiss Military is the 4215.30.007.05. It’s a really smart looking watch with a sturdy genuine leather strap. The watch is Swiss made and as expected is powered by a Swiss quartz movement. There’s also a date display and separate 60 second sub dial that I like the look of. Extra features include a sapphire crystal glass and 100m water resistance rating. 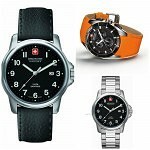 Thanks for reading, that was the 9 Most Popular Best Selling Swiss Military Hanowa Watches Under £200 For Men. Hope you enjoyed. Let me know what you thought below in the comments, or join us on twitter/facebook!